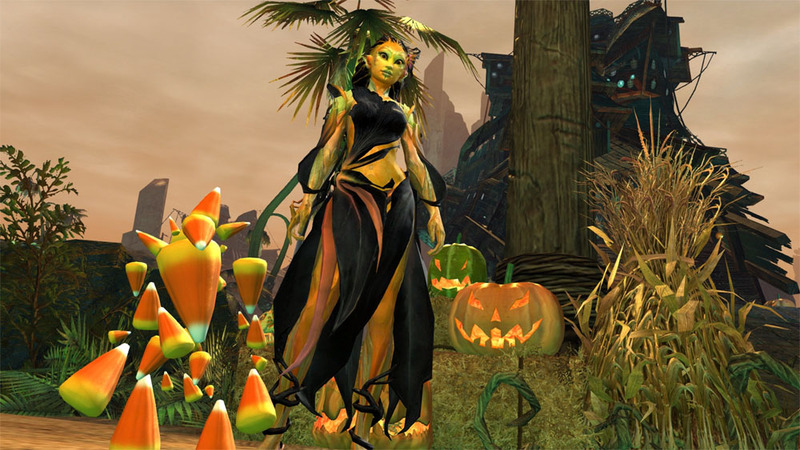 Treat yourself to some Halloween events or exciting news about cross-realm play! In MMOs, special events (which often happen on dates surrounding real-world holidays) have become a common expectation of players. These events make the MMO virtual worlds feel more dynamic and fresh. 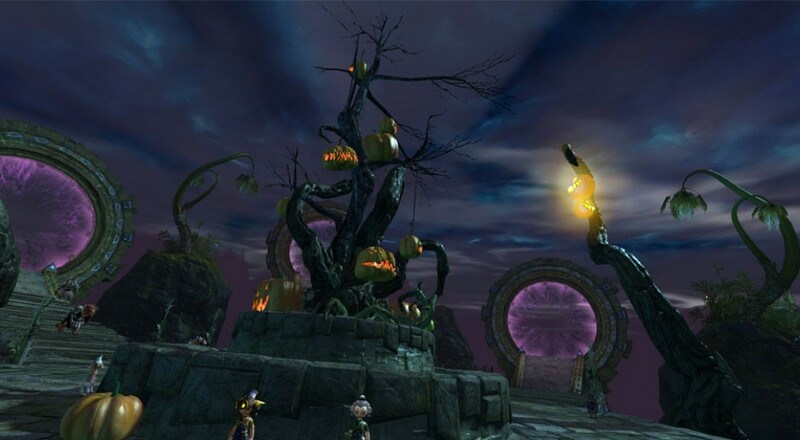 This month we look at some upcoming Autumn/Halloween events for RIFT and Guild Wars 2 as well as some exciting news about cross-realm play for the upcoming MMO WildStar. RIFT went free-to-play this past summer, and from the sound of it that transition has been largely successful for developer Trion. RIFT’s upcoming fall event is the Autumn Harvest, which starts October 17th. During the event, players will be tasked with assisting the Fae minions of Atrophinius, the Harvest Master. Through doing so, they will be rewarded with Spectral Tokens, which can be turned in for Spectral mounts and other rare loot. There will also be a special PVP scenario (the Monster-Mash Black Garden) where players will take on the roles of werewolves and vampires. Special event-themed cosmetics and items will also be available for purchase in the microtransactions RIFT store. Guild Wars 2 has really turned out an astonishing number of high-quality events since its release. The upcoming Halloween event, called Blood and Madness, looks to be no exception. Mad King Thorn comes every Halloween to Guild Wars and Guild Wars 2, but this year his son (Bloody Prince Edrick) is breaching the realms this year as well! The Mad King’s Labyrinth and Clocktower will make reappearances this year, as well as the PVP map, the Lunatic Inquisition. New achievements, minipets, and cosmetic weapons and masks can be gained through participating in the event this year, however, as well as surely some additional cosmetic items in the microtransactions store. Blood and Madness starts today, October 15th. Page created in 0.5645 seconds.